Registration is now open for the 2018 VBCOA Mid-Year Conference, which will be held April 29-April 30, 2018 at the Omni, 212 Ridge McIntire Road, Charlottesville, VA 22903. In addition to the concurrent training sessions offered on Monday and in support of President Fields focus on mentoring, we have added a networking reception on Sunday afternoon from 5 – 7 pm. 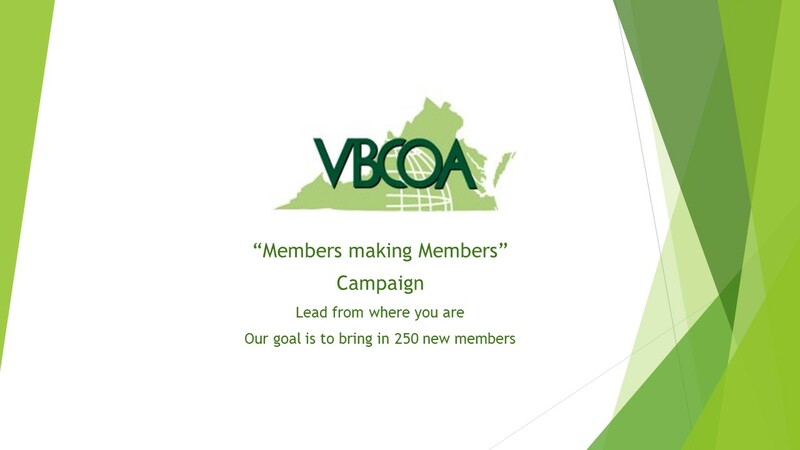 Members are encouraged to bring someone new or support sending someone new to the mid-year conference who has not yet had the opportunity to attend a VBCOA event. This will provide new members with exposure to different leadership, professional networking, and an excellent training opportunity. You may register online and pay by credit card or mail your completed registration with a check to VBCOA, P.O. Box 12164, Richmond, VA 23241. The registration fee includes a networking reception on Sunday evening, Monday continental breakfast and lunch, refreshment breaks, and training materials. Cancellation of registration will be refunded only if received by Monday, April 19, 2018. Hotel Reservations: The Omni room block is sold out for the Mid-Year Conference in addition to, the deadline for reservations under the room block at the Marriott Inn has also passed. Exhibitors: We invite our exhibitors and sponsors to join us for a networking reception in the Omni Foyer from 5 – 7 pm. All exhibitors should be set up no later than 7 am Monday morning and we request that exhibitors stay until the conclusion of the conference at 4 pm. The exhibit fee includes a draped exhibit table, chairs, power and internet, in addition to participation in the Sunday evening networking event, and lunch during the training session on Monday. Sponsors: We are always seeking sponsors to support our events. Sponsorship directly contributes to our ability to provide quality training, education, leadership development and networking for our members and associates dedicated to furthering the VBCOA mission. 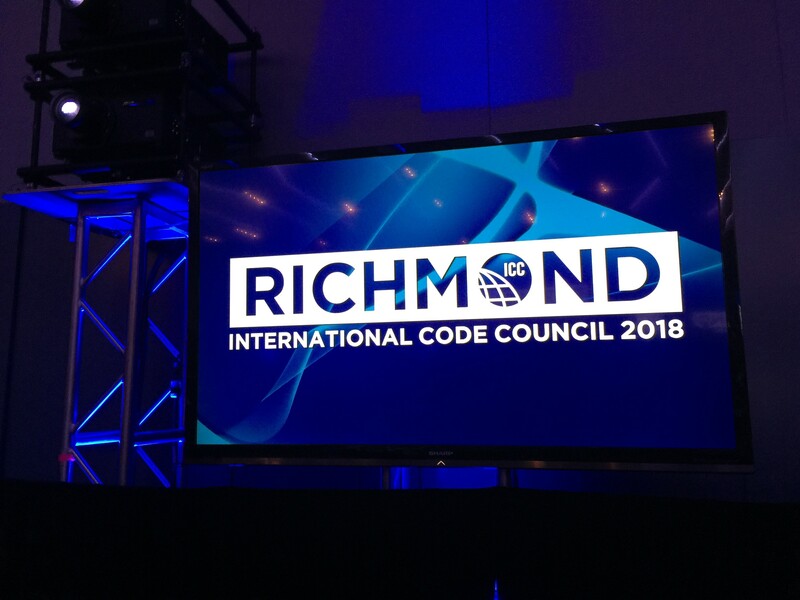 If you would like to be a conference sponsor, you will be acknowledged on conference signage as well as program materials. Please remember to visit the VBCOA website for updated information www.vbcoa.org. Should you any questions please contact Sandra Harrington, VBCOA Executive Director, at sharrington@vml.org or (804) 523-8524. Agenda: You can view a draft agenda for the meeting by visiting 2018 Mid-Year Meeting Agenda. Please check back periodically for further updates as they become available. Additional Training Offered: April 30th- New Residential Strucutres (NRS) Training for Home Inspectors, Omni Hotel, Charlottesville, VA from 8:00-5:00 register with Instructor, Mike Eutsey at meutsey@kingandqueenco.net or by calling 804-785-5975. 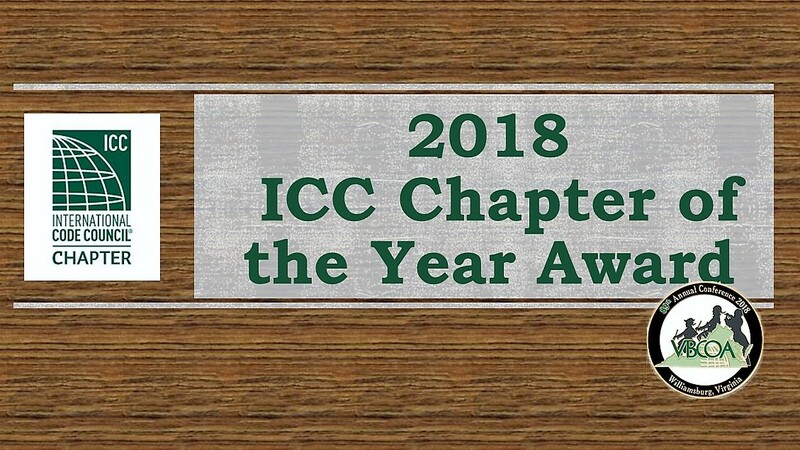 We appreciate your continued support of VBCOA events and look forward to a great Mid-Year this Spring.